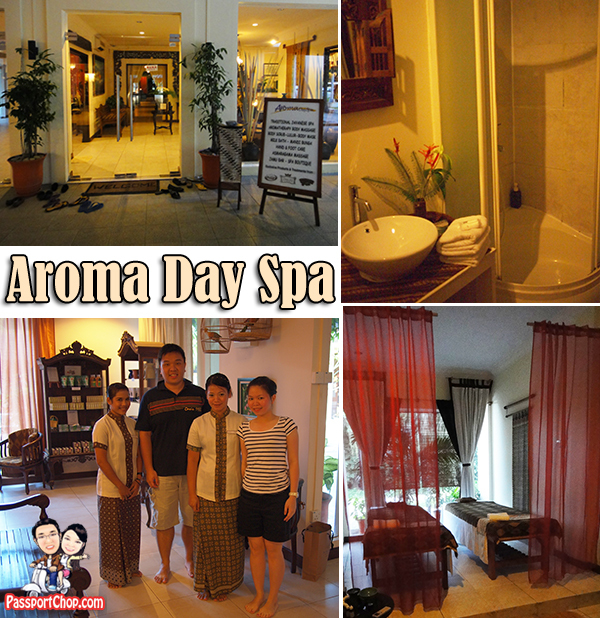 If you find All-Terrain Vehicle (ATV) driving, archery and air rifle shooting too intensive and tiring for a relaxing weekend getaway in Bintan, you can consider a massage and spa at Aroma Day Spa after shopping for souvenirs and Polo shirts at Pasar Pasar Oleh. After a relaxing massage session, chill out at Cafe Tempo with drinks with friends and groove to live band performances. Pasar Oleh Oleh is a cluster of huts selling local snacks e.g. Kueh Lapis (a must-buy – for the best and freshest Kueh Lapis, buy those freshly baked ones from shops at the ferry terminal just before you depart for Singapore), keropok and potato chips (in case you get hungry at night in the hotel) as well as Bintan souvenirs e.g. magnets, coconut head cups (the mascot of Bintan Tourism). If you have forgotten to bring your beach/swim wear for your stay at Nirwana Gardens Bintan Resort, you can also find them here (do note that designs here are quite limited). For fans of Polo shirts, there is a large Polo outlet at Pasar Oleh Oleh (there are also Polo shops at most Nirwana Gardens resort as well as the ferry terminal). There are a number of food establishments here too e.g. Cafe Helo Helo where you enjoy Chinese and Indonesian food at affordable prices. All shops here accept Singapore Dollars. 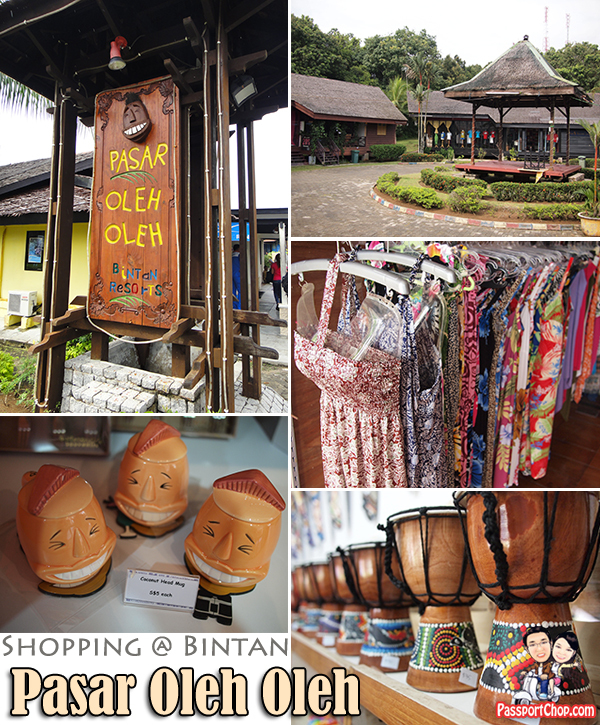 To get to Pasar Oleh Oleh, hop on to the Pasar Oleh Oleh shuttle bus from the Nirwana Resort Hotel. The Pasar Oleh Oleh shuttle bus pass allows unlimited rides for a day at a cost of $5.00 per Adult and $3.00 per Child. After shopping around at Pasar Oleh Oleh, the next best thing to do had to be a relaxing massage at Aroma Day Spa just across a road at Kampoeng Lagoi. There are more souvenir shops and Polo outlets here at Kampoeng Lagoi. Aroma Day Spa uses exclusively branded Taman Sari spa products (which are based on traditional beauty recipes from the Javanese royalty) in its wide range of spa treatments. Some of its signature spa treatments include the 90-minute Aromatherapy Stone Massage with warm & smooth volcanic basalt stones and the 135-minute Refreshing Package where you can have your pick from the A-la-Carte menu selection of body scrub, massage and masque! 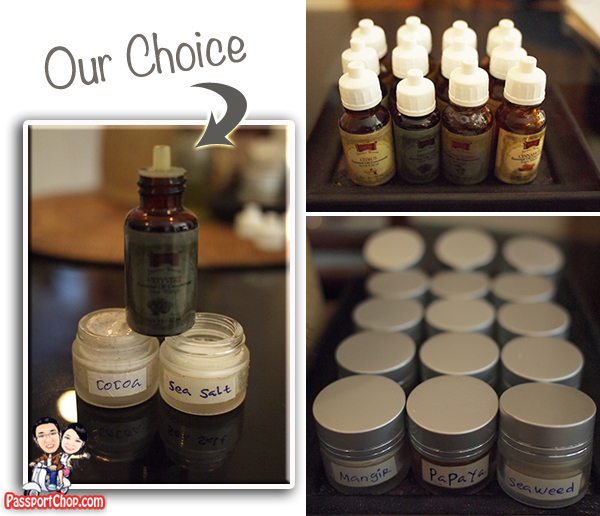 Our Aroma Day Spa experience – the 100-minute De-stress Package, started even before the actual massage as we were briefed on the wide range of choices we have for body scrub and aromatherapy massage oil! We were then led to one of the rooms which were well-equipped with shower stalls and placed in the good hands of well-trained massage therapists. What followed was a long and soothing massage coupled with a thorough body scrub – leaving us completed relaxed and de-stressed – just like what the package said it would do! To book, email pick-up time and venue to [email protected] (at least 24hrs in advance) and quote ‘PassportChop’ in email booking. After a relaxing massage experience, we were led upstairs to Cafe Tempo (also owned by the same owner of Aroma Day Spa) where we chilled out with Cafe Tempo’s signature drink – the Diabolo Mint – a very powerful minty yet refreshing drink. 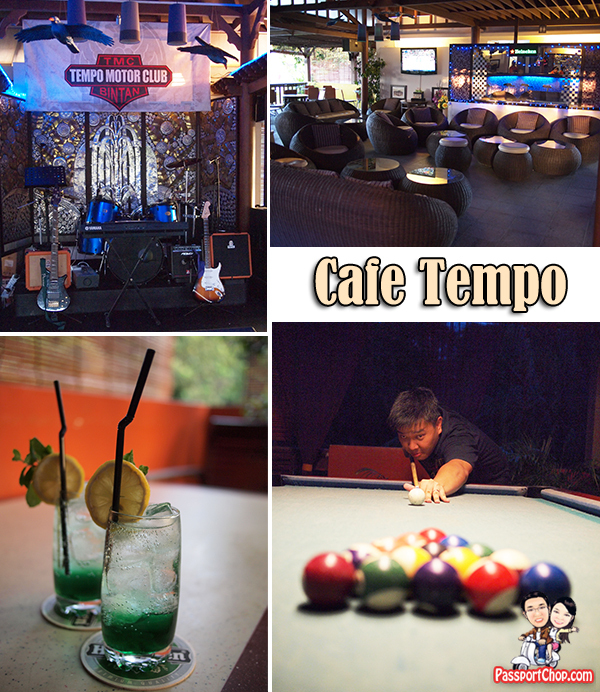 Besides playing a game of pool/billiard, guests at Cafe Tempo can also enjoy the live band performances every Saturday evenings. There are lots to do here e.g. sing karaoke, enjoy cocktails and tapas while catching a football match on the wide-screen TV at the sports bar. 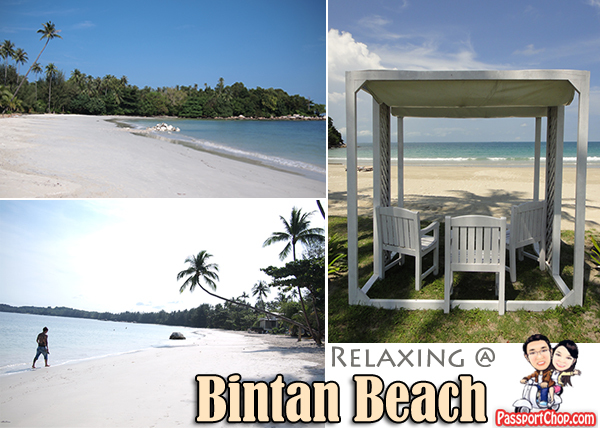 To complete your relaxing weekend getaway in Bintan, you should just chill out by one of the beautiful beaches of Bintan – apply your sunscreen, get your sunglasses and hat/cap and grab one of the beach chairs (free! – Nirwana Resort Hotel also provides towels – grab one from the towel counter by the swimming pool) by the beach and enjoy the cool sea breeze as you read a book or take a nap on the beach. PassportChop.com’s adventures in Nirwana Gardens Bintan Resort are kindly arranged by Nirwana Gardens, Mutiara Bintan and Aroma Day Spa. this is so interesting post to read it..